On Memorial Day my email included a nomination for the Kreativ Blogger Award from my blogger friend, Pete Denton. We started with WordPress about the same time last year. His success has been monumental. Therefore, it is with humility that I accept this honor. 2. List ten things about yourself. 3. 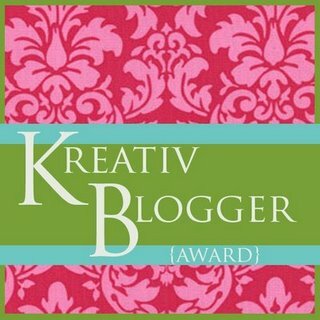 Nominate SIX blogs you think deserve the Kreativ Blogger Award. About myself, What can I tell you? – I nearly failed geometry because I cannot memorize things. – I learn best when I write something down. – I make lists. Lists and more lists. Often the same list repeatedly. – Difficult decisions take a long time for me. Once I decide, I have no regrets. – When unhappy I write; otherwise, I paint. – I prefer to read anything but fiction. – I believe dogs should be respected and feared. – I feel my longevity when faced with new vocabulary – meme, bucket list,zip-line, etc. – “Old” is new to me: thrift shops rather than fancy shmancy stores. – I think questions deserve an answer. I try not to ask. I have notified them by placing a comment on their blogs. Each is unique and wonderful! The Art Gallery of New South Wales is exhibiting ‘Picasso – Masterpieces from the Musee National Picasso,Paris’, between 12 November 2011 and 25 March 2012. This travelling Picasso exhibition has been tailored to Australia’s cultural and political history by the current President of Musee Picasso, Anne Baldassari. 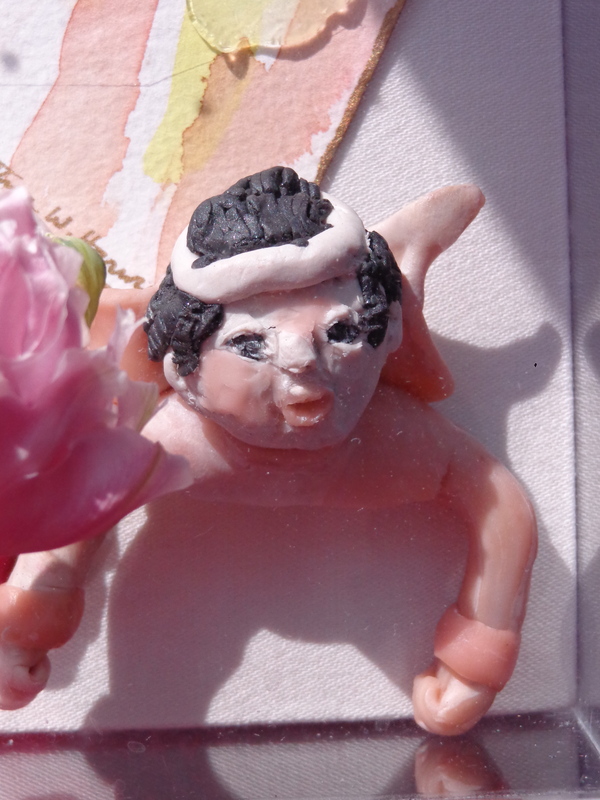 Clay figurine and collaged heart (watercolor) inside clear plastic box. Tulip placed on top. (and those who found my blogs by accident) I want to thank all of you. Your participation has made writing a shared experience. It has helped me think before I pick a subject. And you have inspired me with your blogs . Holidays are so full of memories – both the joys and pains. We have learned to plan activities to ease the real reason for the celebrations. Last year I wrote out all of the family members who had served in the military. It started with the Civil War as far as I know. And it was not all men. Who knows what secret scars they kept when they returned to their families. And we did not ask. Perhaps now we have a better understanding of psychology and can honor the recent service people more effectively. People who believe in peace can still thank these who have served. They do not make the decisions. They and their families face life most of us know little about. I wish we still saw active duty people in uniform in our communities. We cannot fully appreciate how many young people are taking care of us and wars. If we knew, would we try harder to bring them home? It always seemed redundant to say ‘new beginnings’ but for the families of graduates, it may be fitting. To reach this point in a child’s life, it starts early. The family dreams of the day when the girl or boy steps closer to adulthood. There is a hope of shared independence and success. And then the day comes. Reality sets in. I remember an eighth grade graduation. We were so proud of our child who had done well and was the youngest in her class. A sadness came over me. In the back row was a boy in a man’s suit. He was nearly as tall as my husband. He was obviously older than any other child in the class. My tears were not for our joy, but for the family of this boy. What did it take to get him to that day? What prospects lay ahead for him? I was convinced that he might have only this graduation to remember. Some have questioned a ceremony this early in school years. It seemed worthwhile for children who might not have another. And what has happened to the high achievers in this little class? One genius who did his research paper on contraceptives (much to the distress of the school) died very young. His goal, to become a doctor and help women, was cut short by his own illness. Another became a doctor and still more became lawyers, social workers and perhaps, candlestick makers. We do not know. Every now and then, one of these classmates pass in elevators and recognize each other. Congratulations to Melrose H. S. and Spelman College. Fond memories. Did you see the Charlie Rose (TV) interview when he was talking with Picasso’s companion, Francoise Gilot? She is lively and was a talented artist before moving in with him. They had a ten-year relationship from 1943 – 1953. Pablo Picasso had already had three wives or mistresses. She lived with him for three years. It was chilling to hear her say she knew she must take up as little space as possible. She felt that the materials needed for painting in oil would have caused a problem. 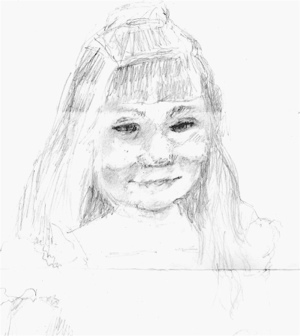 Therefore, she adapted her art to do only drawings. Working on papr she could put the studies in a drawer out of sight. I wondered if he would have seen her as a competitor. They did, she said coyly, share a passionate relationship. The occasion for this interview was to describe the works by Picasso and Francoise now being shown at the Gagosian Gallery in NYC. This exhibit is an opportunity to see the varied works of Picasso and hers, produced during their relationship. She explained how his work developed during that period and what her works meant. The interviews by Rose are always done in a relaxed manner which hide the thoughtful efforts of preparation. It is interesting to see the women artists getting their due. 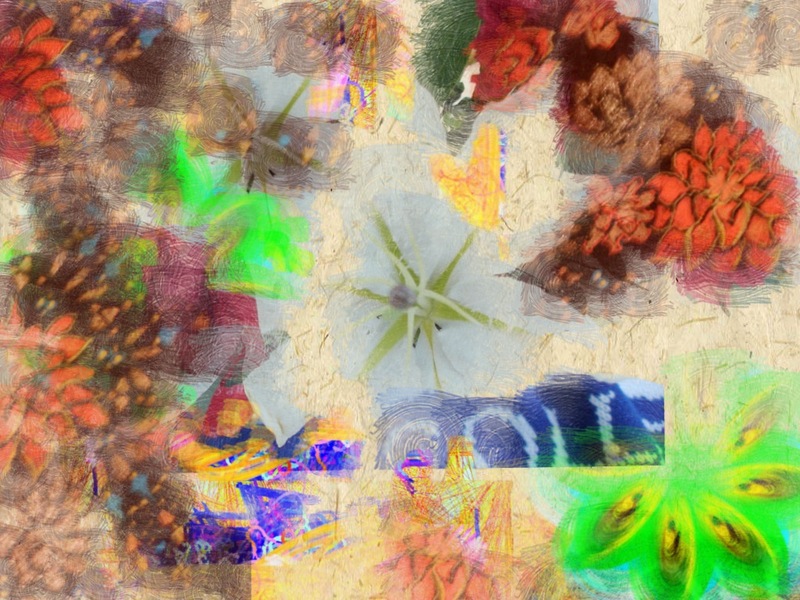 Artworks from the exhibit are on the gallery website. Are you or your ‘things’ living in your car? 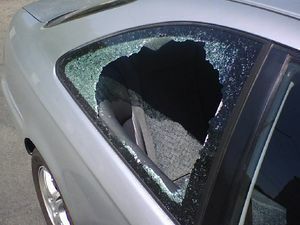 Today I am reminded that just driving and servicing your car is not enough. We are told in the winter to prepare for emergencies. Put water, blankets and nourishment in you car. How many have a first aid kit? Did you check to see if you have a car jack? Need battery cables? How about the storms we are having which are so devastating? On the news this morning, a man was found after a week’s accident in his car. All are not so lucky. Safety also includes what is in your car. Take an inventory of things living in your car. I have a few hats even though I never wear a hat. A pair of expensive, ugly shoes that are supposed to make healthy feet. A turquoise sweater in case it gets cold. And a camera. And a few dollars in the console and change in the driver’s door. I would hate to be violated by a burglar. It happens. It happened to a friend. You think, “I can just run into the store. Who would steal my purse?” Even in the daylight, your car is vulnerable. Remember my car is not my domicile. I will not carry more than I can afford to lose. I will not leave valuables in the car. I will offer support when someone is vandalized. I will look for good news when no one is personally in danger. I will hope burglars will consider the other person before they do harm. Self-publishing is big. Really big. Everyone is talking about it – writers, publishers, retailers, the press, industry analysts … everyone. It’s no surprise. Today’s technology gives anyone anywhere the ability to bypass traditional publishing and take her work to the street, so to speak. Three cheers for the emancipation of the artist!